The Ministry of Housing and Urban-Rural Development (MOHURD) recently announced it will start more than 6 million units of government-subsidized affordable housing and complete the construction of 4.8 million units in 2014… Mr. Jiang, director of MOHURD, said the country will increase the supplies of land and affordable housing next year and ensure the better implementation of current policies to contain soaring housing prices in some major cities. Jiang’s statement came after the latest official data showed the price of homes in large Chinese cities continued to rise in November, despite fresh cooling measures in more than a dozen cities in recent months. VANCOUVER — The company at the centre of a deadly sawmill explosion in British Columbia is blaming Toshiba International Corp. for the blast that destroyed the mill and left two workers dead. Babine Forest Products in Burns Lake, B.C., alleges that Toshiba manufactured and supplied the motor that sparked the fire leading to the explosion in January 2012. In a B.C. Supreme Court statement of claim, Babine Forest Products alleges electrical arcing in a conveyor motor ignited combustible material, causing the blast. If economic recovery can be gauged by the conference industry, Prince George is having boom times. Major summits like the Council of Forest Industries and Forest Expo, now the Canada North Resources Expo, have returned to Prince George after long absences. Next week’s event could be the most positive sign yet. Founded in the early 2000s by then-MLA Pat Bell, this is the first time the premier has been the official host of the B.C. Natural Resources Forum. Rookie MLA and forum organizer Mike Morris said interest has been overwhelming. Zavisha Saw Mill in the Village of Hines Creek suffered a fire the night of Jan. 14 but while the mill was damaged, it will be back and running fairly soon. Glen and Greg Zavisha said the call came in at 12:10 that there was a fire in the North mill building which houses the large log line and reman saw. The damage only affects about 10% of the square footage of the mill but, as Glen Zavisha said, “It’s an important 10%.” There is damage to the electrical system, structure and equiupment which has put the sawmill portion of the Zavisha operation out of commission 100%. A lower Canadian dollar and a slow recovery in the U.S. and around the world bode well for the B.C. economy in the next two years, a new report from the Business Council of B.C. says. “The U.S. economy is gaining ground, the Eurozone is out of recession, and Asia, particularly China, continues to expand at a robust clip,” said executive vice president Jock Finlayson as he released the BCBC economic outlook report Tuesday… The report forecasts improvement in U.S. demand for lumber and other building materials, wood pulp and even natural gas, which has fallen to historic lows with a surge of shale gas production around North America. An acquaintance relayed a story recently of how his Alberta friend took a fishing trip up in the Queen Charlotte/Haida Gwaii islands. As the story goes, his friend chatted with the owner of a local store that sold gas and fishing equipment; the proprietor said British Columbia did not need “Alberta’s” pipelines or the Alberta oil and gas sector in general to prosper. My friend’s friend then noted how he had just dropped $250 in his store and perhaps he should take his business elsewhere if the store owner really thought he made no money from oil and gas. Marwood Limited is expanding its Tracy, New Brunswick facility, purchasing new equipment and adding 20 new full-time jobs. On Jan. 21 the family-owned and operated business that traces its roots back to the 1920’s, received federal and provincial funding to support the construction of a new wood scanning and optimizing plant. The company will also purchase specialized wood scanning technology as well as trimming equipment to improve production efficiencies. The federal government, through ACOA’s Business Development Program, is contributing a repayable investment of $500,000 toward the project. The province is providing a $1,200,000 repayable loan and a $50,000 grant. 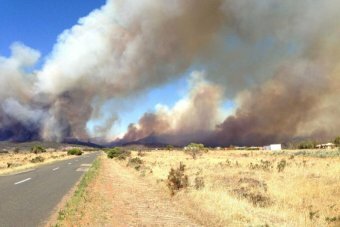 A sawmill owner in South Australia’s Southern Flinders Ranges says half its workforce could be cut after bushfires ripped through the region, damaging the local sources of timber. At least 75 per cent of the plantation pine in the Wirrabara Forest was destroyed in the Bangor fire over the weekend, with 60 per cent of the Bundaleer Forest lost in fires last year. Luke Morgan’s family owns the only remaining sawmill in the region at Jamestown, which is the biggest local private employer with 44 workers. It’s a good time to be a forests minister in B.C. Steve Thomson, Minister of Forests, Lands and Natural Resource Operations, was in Cranbrook on Monday, Jan. 20, meeting with various industry stakeholders at the Forestry office. Thomson took time out to speak to the Townsman about a resurgence and positive turnaround in the industry in recent months. Thomson said he was “very, very optimistic” about the state of B.C.’s forest industry these days, and believes the industry is on a strong road to recovery. Mundy Park’s urban forest — should the focus be on preserving trees or allowing other uses? Coquitlam’s civic politicians debated that question at their council-in-committee meeting earlier this week. The city’s parks, recreation and culture department is working on a preliminary forest management plan for the park, which will lay out a road map for the future of its 400-acre (160-hectare) urban forest. At Monday’s meeting, council looked at whether the focus should be on preserving the trees in the urban forest or managing them for human use. The city of Prescott on Tuesday denied more than 100 damage claims seeking a total of $662 million for property owners and relatives of firefighters who died in the Yarnell Hill fire in Arizona. Ninety-one property owners filed claims and 17 others were filed by relatives of Granite Mountain Hotshots who died June 30. Nineteen members of the elite crew died when winds shifted during the Yarnell Hill Fire and trapped the men in a brush-choked bowl after they left an area already burned. More than 100 homes were destroyed in Yarnell, northwest of Phoenix. A statewide forestry agency says timber theft is on the rise in East Texas, but those who work in the industry say they haven’t seen an increase. The Texas A&M Forest Service reported more than 20 timber theft cases in East Texas during the past four months. “Seventy-five percent of all those are going to be in the far northeastern corner of East Texas,” said Les Rogers, chief law enforcement officer for the service. Recent thefts mainly consisted of crews pretending to be “reputable loggers” who didn’t pay for the timber they took, he said. Those incidents took place around Marshall, Texarkana, Linden and Gilmer, he added. 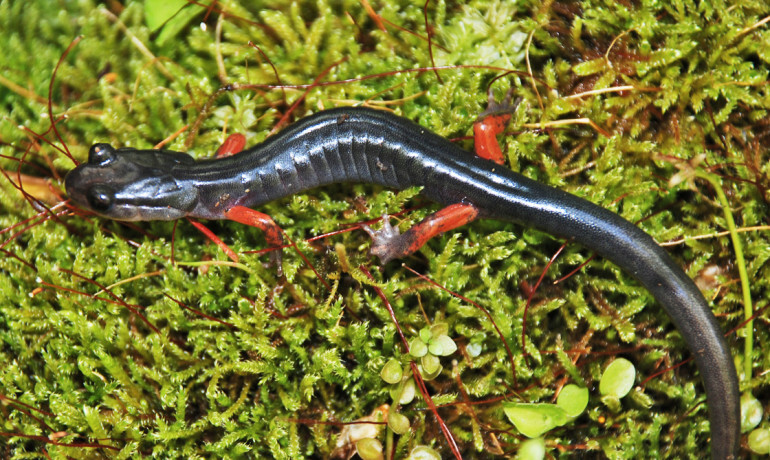 The size of salamander populations reflects forest habitat quality and can predict how ecosystems rebound from forest logging activity, a new study shows. The researchers believe these findings can be translated to other species within forest ecosystems throughout the world. Woodland salamanders are small, lungless amphibians that live in moist, forest habitats throughout the US and the world. Salamanders often serve as vital links in forest food chains—their population size and recovery from major disturbances can help predict the health of forest ecosystems. Lumber: Unlike the week prior, no sharp gains in lumber futures appeared by Thursday to spur buying in the SPF lumber market. Instead, trading activity was modest, which left most #2&Btr prices flat in the West. Price increases in Canadian markets were partially due to a weakening Canadian dollar. Stud prices were strong.